"We cannot ignore this tale. It is a legacy we ought to be sharing with our children... Such is the power of good theatre done well." Josef Mengele, the notorious doctor of Auschwitz, takes his routine morning swim but out in deep water has a seizure and is washed ashore. Here he is confronted by a local woman that he assumes has saved him. Flattered, entranced and provoked by this enigmatic presence, he seeks to justify his life... only succeeding in damning himself. Presented in cinematic style, this production is atmospheric, evocative and poignant in its contemporary reference exposing a sociopathic narcissist. 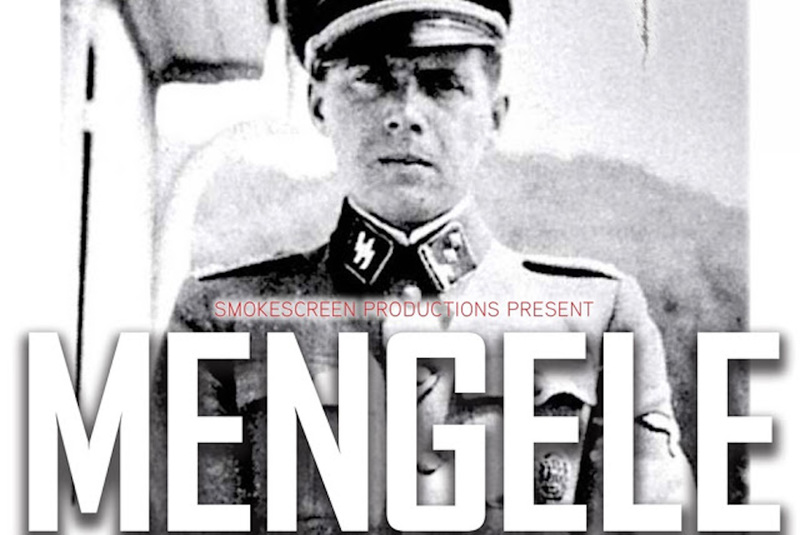 A 5* acclaimed sold out run at the Edinburgh Fringe Festival resulted in 'Mengele' being selected as a ‘Fringe Encore Winner’ to play an off-Broadway season in New York. As the rhetoric of current debates echoes the rhetoric of the past, the words of Auschwitz survivor Lydia Tischler are particularly appropriate; “the best way to remember is for it not to happen again… for the potential for destructiveness is in all of us”.